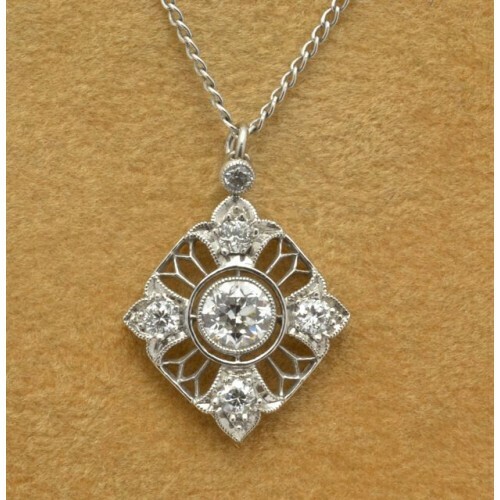 Antique diamond pendant having one large center stone surround by four smaller diamonds, weighing 1/2 carat, colour G, clarity SI. A small diamond is set in the suspension. 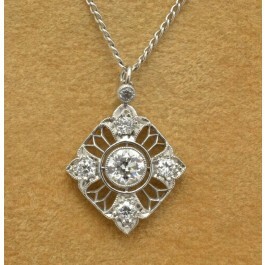 This unique pendant is in a pierced platinum setting and dates back to 1930's.